Lok Sabha Election 2019: A Rajya Sabha member from the NCP guardedly said that Sharad Pawar's candidature for the Lok Sabha "is not yet finalized" but a senior state leader categorically confirmed the decision to IANS. 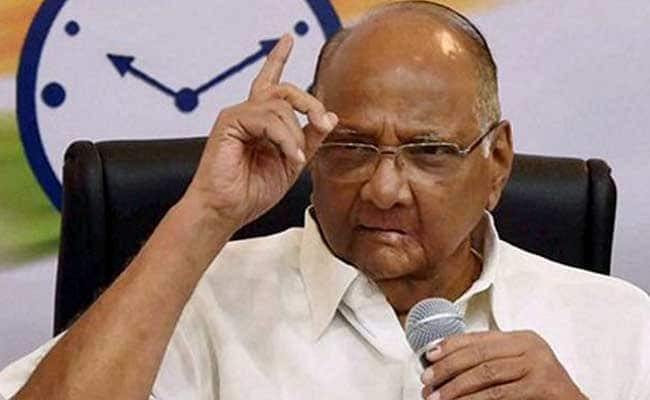 Nationalist Congress Party (NCP) President Sharad Pawar will contest the 2019 Lok Sabha election from Madha constituency in Maharashtra, party sources said in Mumbai today. A Rajya Sabha member from the NCP guardedly said that Mr Pawar's candidature for the Lok Sabha "is not yet finalized" but a senior state leader categorically confirmed the decision to IANS. Sharad Pawar, 78, has been the chief minister of Maharashtra three times besides being the Defence and Agriculture Minister in the centre. Now a Rajya Sabha Member, the development comes after Mr Pawar repeatedly asserted in the past couple of years that he wanted to quit "electoral politics" and give space to gen-next in the party. But he hinted at a return to the election battlefield last week.